We invite you to learn more about what we have to offer. With more than 120 academic majors and small class sizes, many students describe UNI as the perfect fit. If you haven’t done so already, experience UNI first hand by scheduling a visit. We’ll be here to help you learn about admission requirements, search for scholarships, find a place to live, and discover the perfect student organization just for you. No matter where you are you are from, we hope you will choose UNI to be your next home. Home to about 13,000 students, 120 majors, and small class sizes; students often describe UNI as a perfect fit. Whether you’re a New Freshman, Transfer Student, International Student, Parent or School Counselor, we look forward to helping you explore UNI. UNI is one of the best colleges and universities in the Midwest according to The Princeton Review. The education services company selected the school as one of 158 institutions it profiles in its “Best in the Midwest” section of its website feature 2010 Best Colleges: Region by Region that posted July 27, 2009.
contributions to the State of Iowa, the nation, and the world. The Department of Intercollegiate Athletics at the University of Northern Iowa is dedicated and committed to the highest level of competition with peer and sister institutions, institutions in the Missouri Valley Conference, the Missouri Valley Football Conference, and the Western Wrestling Conference, on a national basis in terms of athletic excellence and academic achievement of student-athletes. We will offer compelling experience for the student-athlete and for our campus community and will provide a diverse environment steeped in integrity, values and vitality. We are committed to equitable opportunities for all students, student-athletes and athletic department staff including women and minorities. Our programming offerings, our recruitment of both students and staff, and our career enhancement opportunities for staff will reflect this commitment to equity and diversity. Further, we are totally committed to the NCAA principles of sportsmanship and ethical conduct and nothing short of complete and total adherence to the principles and guidelines subscribed to by the NCAA in these critical areas will be tolerated or accepted. Teaching is our core, positive growth and development of student-athletes is our goal and the highest level of performance both in the classroom, in social settings, and on the field of play is our target outcome. The Black Hawk Tennis Club has many convenient facilities, including six indoor tennis courts, an exercise room, a pro shop, locker rooms, and six outdoor tennis courts, including a deck with multilevel viewing areas. John Delorbe, owner of BHTC since 1989, says the Club has great viewing areas both at the inside and outside courts. The Club also hosts many special activities, such as clinics and lessons, Ladies and Men’s Leagues, Junior Development Programs, Mixed Doubles Tournaments and Club meets. The Black Hawk Tennis Club was built in 1970. This is the sixth year that the University of Northern Iowa tennis team has competed on the BHTCs courts. Its a great way to bring the community into the spirit of UNI’s tennis action. In April of 2004, the University of Northern Iowa formed a partnership with the Cedar Valley Youth Soccer Association that allowed the Panthers to play all home soccer games at the Cedar Valley Soccer Complex in Cedar Falls. A centralized soccer facility in the Cedar Valley area, the construction of the soccer complex was completed in the fall of 2000. The facility offers 11 fields including four practice fields. The Panthers play all their games on the Premiere Field, which is the only field with lights and a scoreboard. The Cedar Valley Youth Soccer Association is a non-profit organization with 26 area communities having teams within the league. The association has grown from 186 players on 12 teams in 1992 to nearly 4,000 players on 281 teams in 2000. Prior to development of the soccer complex these teams were required to play on fields in city parks or school grounds throughout Waterloo and Cedar Falls. As the sport’s popularity grew, it became increasingly difficult to find soccer facilities to serve the needs of the CVYSA. UNI’s track and field teams compete outdoors at the Mark Messersmith Outdoor Track and Field Complex, located across from the UNI-Dome, on the corner of 19th and Hudson Road. 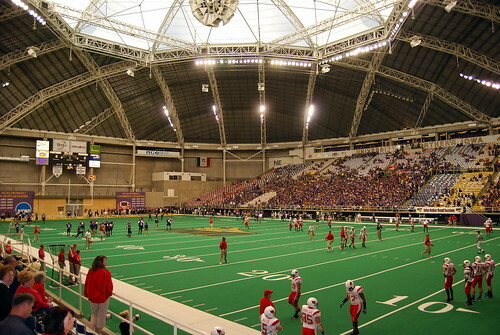 The complex, which combined with the UNI-Dome gives UNI one of the finest combination of indoor and outdoor facilities in America, opened in Spring, 1998. In its inaugural season, the complex hosted the first annual Northern Iowa Open, and the Missouri Valley Conference Outdoor Championships, won by the Panther men. The University’s investment in this new surface gives the advantage of training and competing under ideal conditions any time of the year. 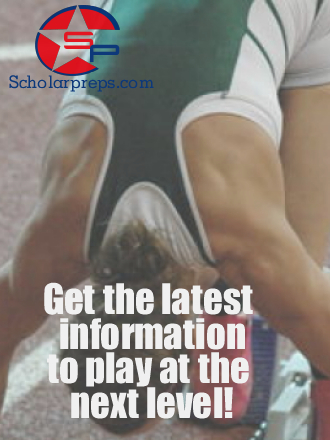 The 400-meter, eight-lane track is made of the latest state-of-the-art polyurethane surface. The track surrounds a field event area that features a steeplechase water jump, two pits each for the long and triple jump, dual throw rings for the weights, a discus/hammer cage and full pour takeoffs for the pole vault, long jump and triple jump. The west campus complex is a perfect complement to other community venues on campus, including the UNI-Dome and the Gallagher-Bluedorn Performing Arts Center. By becoming a focal point for athletic support and education, the new facility will deepen UNI’s strong sense of community. The McLeod Center will enhance the image of the UNI-Dome and create new usage opportunities. By freeing the UNI-Dome for an additional 90 event days per year, the annual attendance is expected to double. The addition of McLeod Center to the west campus complex will continue UNI’s dedication to student needs. It will provide a new home for men’s and women’s basketball and volleyball, as well as a performance venue for wrestling. In addition, it will significantly increase available event space in the community. A video board is located on the south wall with home and visiting team scoreboards on either side showing the player’s game information. There are two scoreboards on the north side and ribbon boards above the concession stands on the east and west sides. There are two entrances on the south end of the building. The southeast entrance will be the primary student entrance and the southwest entrance will serve the general public. Panther Scholarship Club members who have parking passes for the West Dome Lot will use the northwest entrance. Will Call and Player Pass Lists will be at the western most doors of the southwest entrance, until the McLeod Center’s north box office opens later in the winter. Standing room only for parties and Panther Scholarship Club pre-game events. In the spring of 1998, the University of Northern Iowa completed construction of its new multipurpose student and athletic facility – the Wellness & Recreation Center. The $14 million center is the home of the UNI swimming and diving teams. The Wellness & Recreation Center pool consists of eight 25-yard lanes. All lanes are equipped with the Colorado Times Electronic Timing System. This system is connected to the large electronic scoreboard that allows spectators to follow the event’s action in real time. The pool also is surrounded by a closed gutter filtration system, which drastically reduces water turbulence, helping to increase the swimmer’s speed. The pool has two one-meter diving boards located poolside and two three-meter boards fitted on a diving platform located on the north end of the pool. The diving well has a depth of 13 feet. Seating for meets includes elevated permanent seating for 300 spectators. The overlooking seating gives fans a spectacular, up-close perspective to watch the competition. Fans and parents also can take advantage of the pool’s hospitality room during swimming meets. In addition to the use by the Panther swimming and diving teams, the pool is open to the University of Northern Iowa community for recreational events, such as intramurals, swimming lessons, open swim, water aerobics and lifeguard certification classes. Open daily to the UNI community, the rest of the Wellness & Recreation Center houses basketball, volleyball and racquetball courts, dance and exercise rooms, two weight rooms and an indoor track. In 2008, the Panthers began play at their new home, Robinson-Dresser Sports Complex. The facility, located along West 12th Street just northwest of the UNI campus, replaces Panther Park, which had served as the Panthers� home field for 30 seasons, beginning with the 1978 campaign. Robinson-Dresser boasts many of the amenities lacking at Panther Park, including a press box, permanent seating and on-site restrooms and concessions facilities. Fans also will enjoy an upgrade in parking, as Robinson-Dresser features a large, paved parking lot immediately adjacent to the softball field. The field, which has been used by Cedar Falls High School since its completion in the summer of 1989, was upgraded over the summer and fall of 2007 with improvements made to the turf, drainage system, scoreboard and outfield fence. The facility also features a lighting system for night games and large bullpen areas for both the home and visiting teams. The groundbreaking ceremony for Iowa’s only domed stadium occurred on July 26, 1974, after several years of fundraising. Most of the money used for construction came from student fees and from private donations from alumni and community members. This $7.5 million structure was completed in 1976. The UNI-Dome, as it is commonly known, is a multi-purpose coliseum designed by Thorson-Brom-Broshar-Snyder Architects of Waterloo. For sports, it has an astro-turf football surface that can be rolled up when not in use; a removable basketball court; and an all-purpose floor marked as a running track. The Dome is used for concerts, community events such as recreational and craft shows, and commencement ceremonies. When the Dome is not in use by the University, it can be rented for various purposes. cables but suspended by air pressure. It had an electronic monitoring system to alert officials to any problems and is climate controlled to allow for year-round use. In the fall of 1998 a new “hybrid” roof was installed that would consist of two parts. The lower section would have an external finished surface of stainless steel. The translucent center portion would be Teflon coated fiberglass. This center portion, or skylight, would comprise about 45,000 of the 160,000 square feet of roof. The building has four main concourse level entrances: two on the east and two on the west. Each is named after a major contributor to the Dome project. There are also two other entrances: one on the north and one on the south side. The north entrance opens into a hallway which leads to the Physical Education Center. Three times in its history the dome encountered major structural difficulties. On November 9, 1975, a mechanical failure in the fan system during a thunderstorm resulted in the slow deflation of the dome. When the fabric began to sag, water built up in those areas, causing the material to rip. The roof was reinflated after repairs later that month. Another strong thunderstorm was the cause of the second deflation of the Dome. On June 30, 1977, high winds, rain, and a power failure caused the dome to deflate and later tear. And again, on December 9, 1994, an accumulation of water from melting snow and ice on the roof caused the material to tear along a seam. Strong winds then ripped a triangular hole in the material, which resulted in deflation. It was reinflated December 19, 1994, after a replacement panel was installed. From the North: Take Highway 218 and proceed south to Highway 57. Take Highway 57 and travel west approximately 3 miles. Turn left on Hudson Road. Travel approximately 3 miles and the UNI-Dome will be on your right. From the South: Take Interstate 380 north to Highway 20. Take Highway 20 west to Hudson Road and turn right. Travel approximately 5 miles and the UNI-Dome will be on your left. From the East: Take Highway 20 west to Hudson Road and turn right. Travel approximately 5 miles and the UNI-Dome will be on your left. From the West: Take Highway 20 east to Hudson Road and turn left. Travel approximately 5 miles and the UNI-Dome will be on your left. From the Airport: Take Airport Blvd. to Highway 57 west. Follow Highway 57 approximately 6 miles to Hudson Road. Travel approximately 3 miles and the UNI-Dome will be on your right.